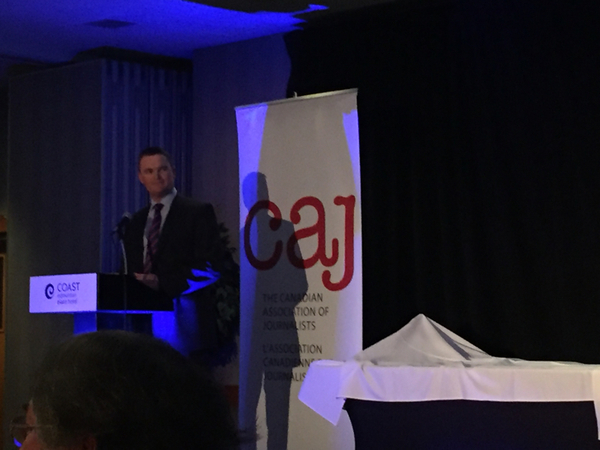 Hi all to those watching our live coverage of tonight's conference banquet and 2015 CAJ awards gala. Programming note, we're starting with dinner and the announcements of awards will follow. 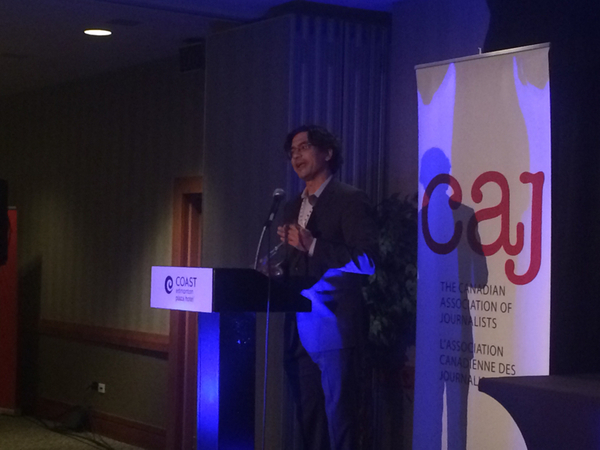 Hashtags if you want to join the conversation are: #CAJAwards and #CAJ16. 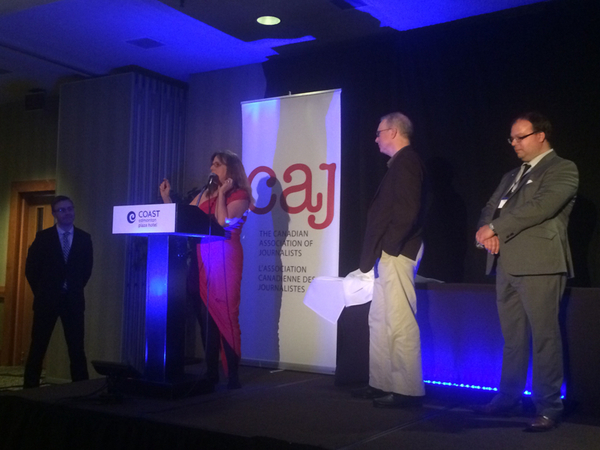 Here is the list of finalists for our annual awards for outstanding investigative journalism in Canada published or broadcast in 2015. Is this the radical road to prosperity? Proud professors accepting on the recipients on their behalf. 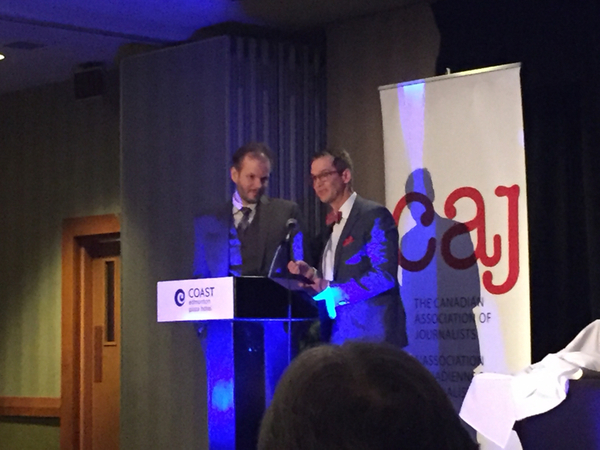 Now the the Charles Bury award, formerly the President's award, goes to three recipients for continuing to be utterly devoted to the @caj, all have been impacted in some way by layoffs, strikes, newsroom resources but carry on with their involvement: Hugo Rodrigues, Paul Schneidereit, and Dale Bass. 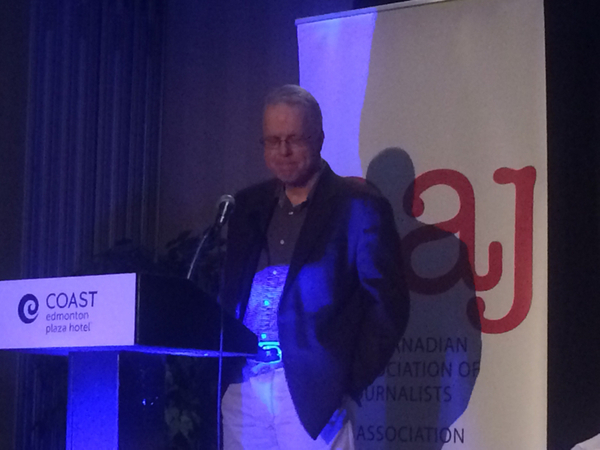 Final award of the evening is the best overall investigative piece of 2015, the Don McGillivray award. 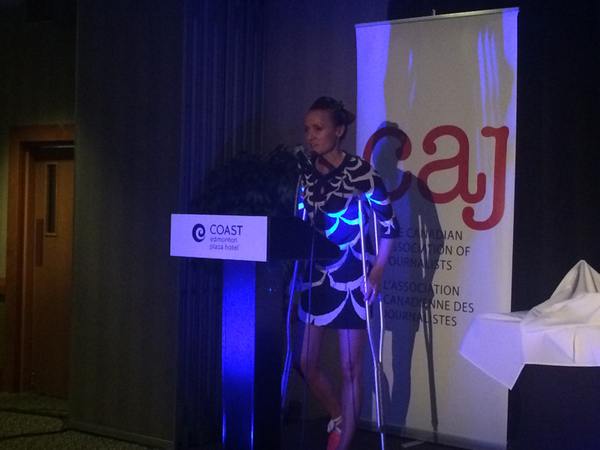 It goes to CBC News’ #MMIW project. 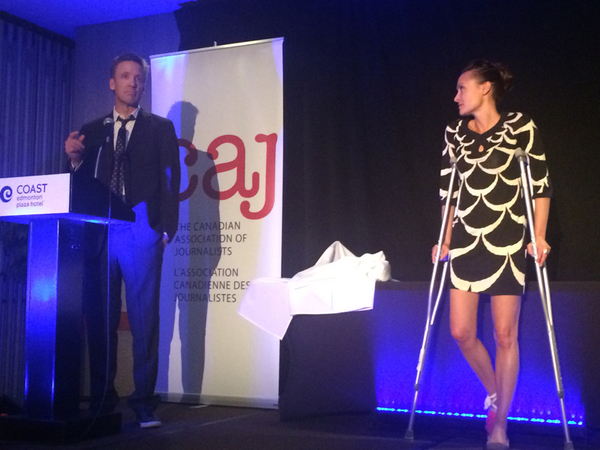 The CAJ's reasoning: In a year when Canada’s national media finally awoke to the tragedies of Missing and Murdered Indigenous Women, the work by our national public broadcaster set the standard. 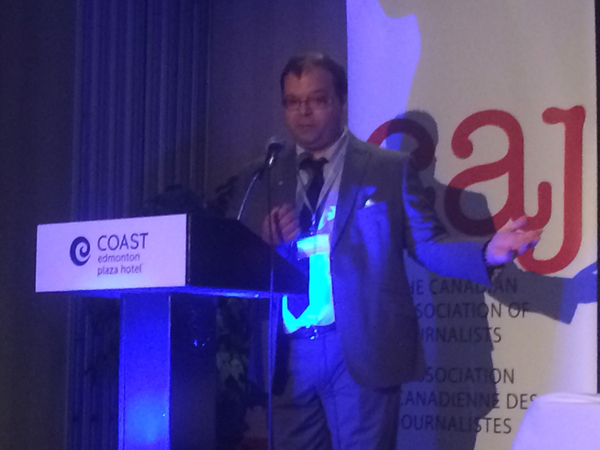 The elements of the CBC’s Missing and Murdered Indigenous Women website were among the first to be published, told the stories of those affected in an impactful way and, somewhat sadly, led to the identification of even more Indigenous women as missing or murdered. Okay, that concludes our awards gala and live coverage, thanks for following along, and once again, congratulations to all our finalists. 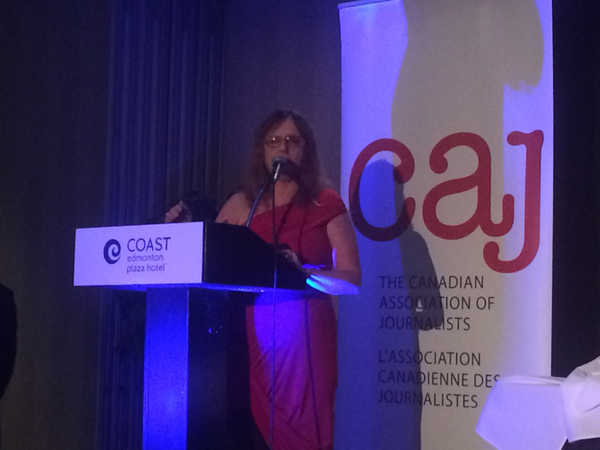 In the words of the CAJ: Your work has been outstanding, inspiring and a reminder of how despite the unending fiscal challenges facing our industry, Canadian journalists still produce plenty of amazing, important and impactful journalism. 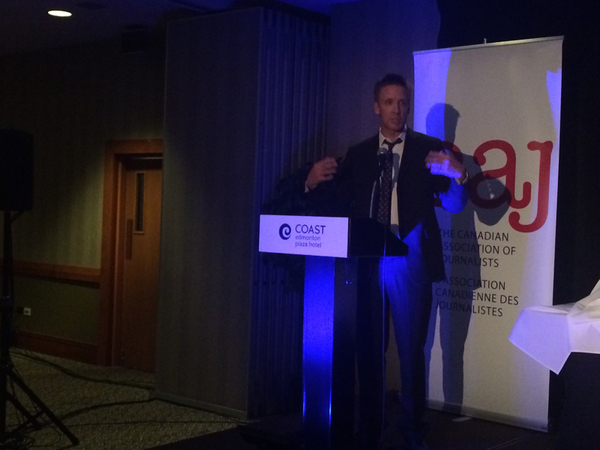 Looking forward to seeing you in Ottawa in 2017 !